The Estorick Collection brings La Dolce Vita to Islington | Lights, Camera…Islington! This week, let’s forget about Islington film locations for a moment. Worry not, we’ll still be talking film stars and Islington. Indeed, movie stars galore in this post, and of the highest calibre: Audrey Hepburn, Elizabeth Taylor, Richard Burton, Joan Collins, Jack Lemmon, Rock Hudson, Cary Grant, Launren Bacall, John Wayne, Jayne Mansfield, Robert Wagner, not to forget Marcello Mastroianni and Anita Ekberg. All of them, and many more, are waiting for you in the heart of Islington, at the Estorick Collection of Modern Italian Art. Located in Canonbury Square, the Estorick Collection’s latest exhibition, The Years of La Dolce Vita opened on 30th April. We are invited to travel back to 1950s and 60s Rome, where many Hollywood producers and filmakers went to, to shoot at its Cinecittà studios for a fraction of what it would have cost them in California. Those were Cinecittà’s golden years with epic films such as Ben-Hur (1959) and Cleopatra (1963) being made, and young Italian directors producing some of their finest movies. In fact, the name Paparazzi comes from Fellini’s La Dolce Vita itself. In it, Mastroianni plays Marcello Rubbini, a journalist writing for gossip magazines who works with a photographer friend, whose name is… Paparazzo! Marcello Geppetti (1933-1998) was one those photographers. 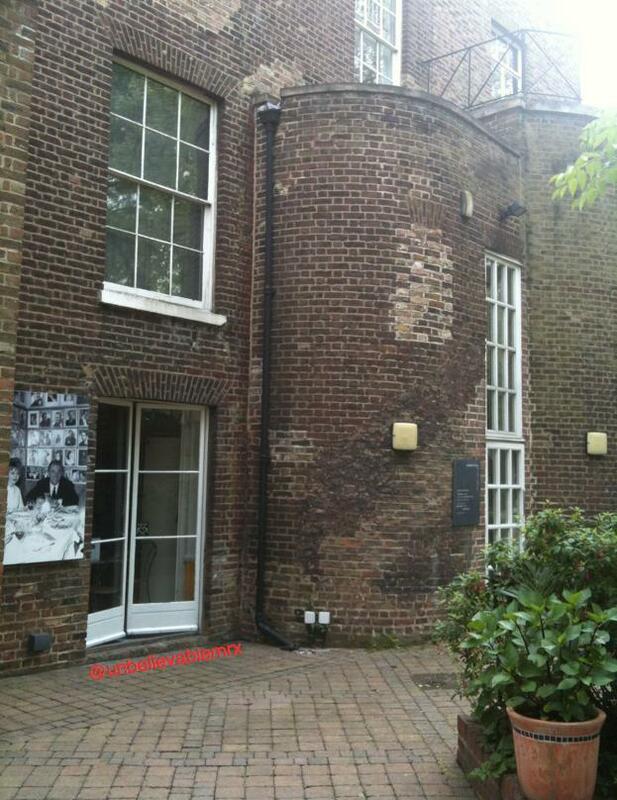 It is mainly from his archive that the 80 pictures on display at the Estorick Collection are. Here are some of them to whet your appetite. 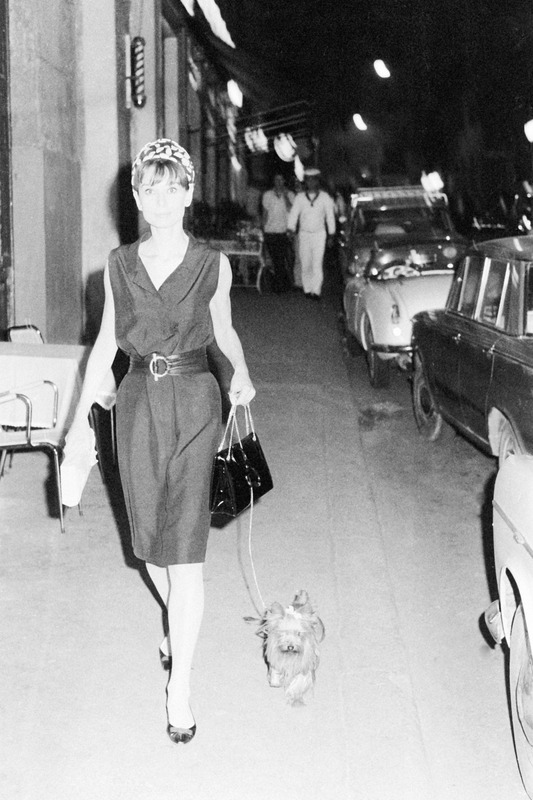 Audrey Hepburn who shot to fame and won her first Oscar for Roman Holiday (1953) was no stranger to Rome. 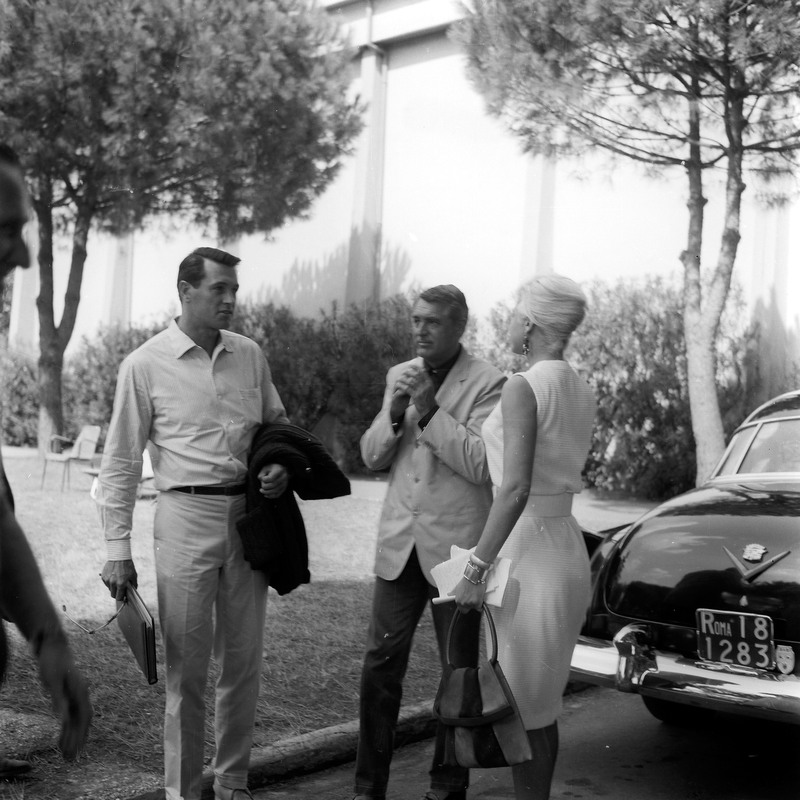 Neither was Rock Hudson, seen here with Cary Grant, who filmed in Italy A Farewell to Arms (1957) and the romantic comedy Come September (1961), which is at the heart of our Hollywood on the Italian Riviera project. British actress Joan Collins, whom Lights, Camera…Islington! came across in her early career exiting Holloway Prison was by now rubbing shoulders with Jack Lemmon and Robert Wagner. Mr Universe 1955 and actor Mickey Hargitay and his wife Jayne Mansfield were having the time of their life. In the meantime in Ischia, Elizabeth Taylor and Richard Burton were enjoying a break from shooting Cleopatra. 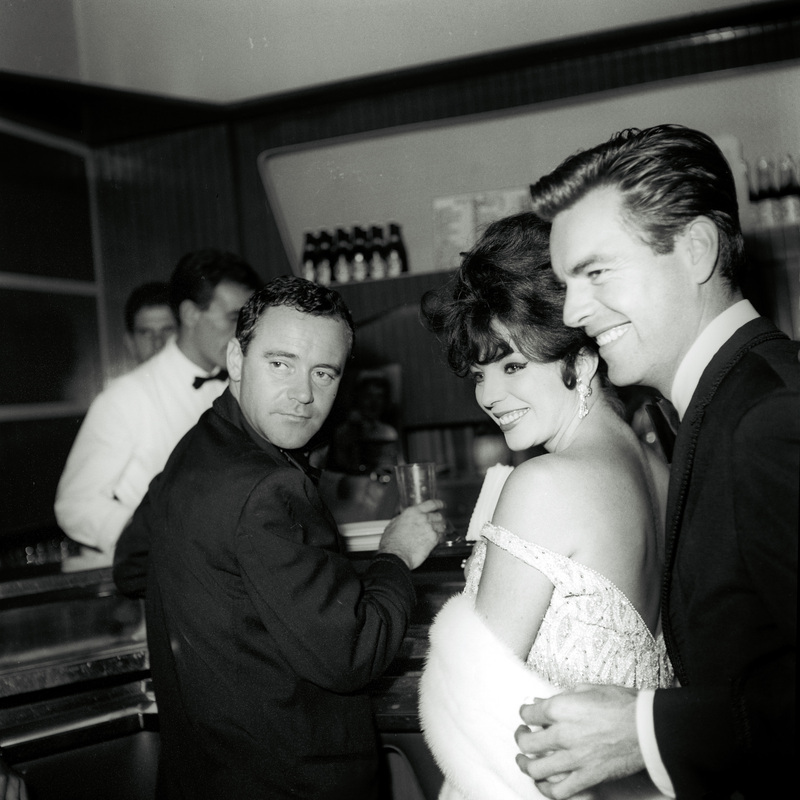 We truly enjoyed discovering those Marcello Geppetti’s snapshots on display in The Years of La Dolce Vita. For an hour or so we were mingling with the stars in sunny (and warm) Rome, wondering along Trastevere, Via Veneto, la Fontana di Trevi… I guess the miserable weather made it all the better, not to mention the 3 D experience offered by the Estorick Collection. The 3-D experience??? Yes, la ciliegina sulla torta (the cherry on the cake as the Italians say). While you go trough the rooms looking at the pictures of the stars having a coffee, enjoying a drink or a meal in a Trattoria, an incredible smell comes from the Estorick Caffè and tickles your nose. How clever! So clever that we ended up extending our stay in Rome for a Frittata of the day, some Gnocchi Sorrentina and 2 Espresso. No pictures of Marcello? Anita Ekberg? John Wayne? Federico Fellini? Oh yes. Plenty of those. At the Estorick Collection. The Years of La Dolce Vita is on until the 29th June.